Jeana Ross, Secretary of Alabama Department of Early Childhood Education, spoke to the Rotary Club of Auburn, Alabama on January 18, 2017. The program featured Alabama's nationally recognized First Class Pre-K program. 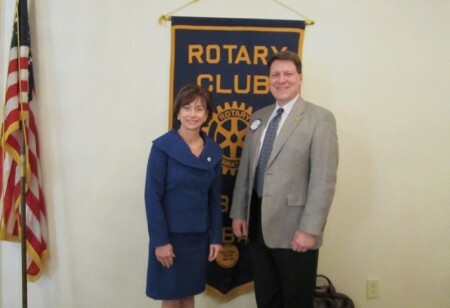 Featured from left to right are: Jeana Ross and Michael Tullier, club president.